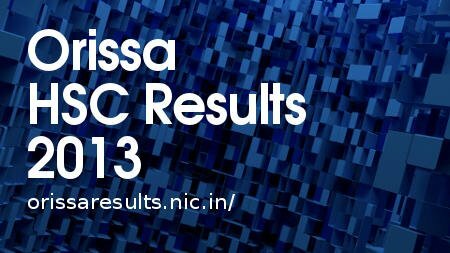 Orissa HSC Results 2013 are declared on 30th April 2013, 11:00 Hrs. Board of Secondary Education, Odisha has published HSC Examination 2013 Results on April 30, 2013 at 11:00 a.m. at the official website orissaresults.nic.in. Students who are waiting for HSC Results 2013 can get their results now. Orissa HSC Exams are conducted on March 2013. The announcement was made by Rabi Narayan Nanda, Orissa’s minister for School and Mass Education. There are 5.3 Lakh Students appeared for HSC Examination in the year 2013. Candidates can now check their results using the Hall Ticket number in the official website. original mark sheet from your respective schools in orissa state. Around 1, 05, 148 students passed the exams in first class. Around 1,27,209 passed in second class. 739 students results were withheld. Balasore district students passed the exams with highest regular pass percentage of 86.97 percent in the State. HSC Orissa Results 2013 also be obtained via sms. For Orissa class 10 HSC results — SMS ‘Result’OR10ROLL NUMBER to 56263. The Board of Secondary Education Orissa controls and develops Secondary Education in the State of Orissa. It provides varied courses in order to equip students for different occupations, to prepare them for University education and to equip them for various cultural purposes.